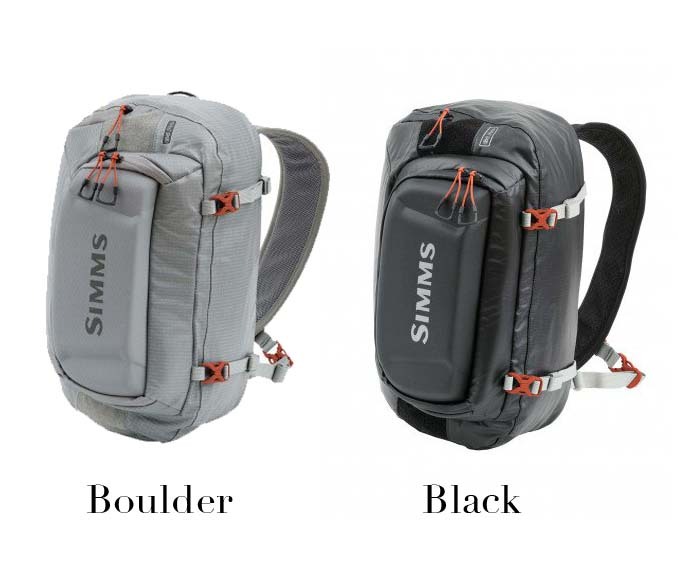 Simms' G4 Pro® Sling is an over-the-shoulder side-loader powered by a U-shaped zippered opening for easy access to the main compartment. The fold-down workbench, with tippet tender and floatant/shake holder attachments, is ideal for changing up and resuscitating tired flies. Additional features include a water-resistant interior lining for deep crossings, magnetic tool ports for amplified access and storage, an apt net carry system for easy access when landing a fish, and an ergonomically designed shoulder strap for all-day comfort. CAPACITY: 21 L, 1282 cu. in. DIMENSIONS: 15" x 9" x 9.5"